Wayne, the warden, was very friendly and helpful. 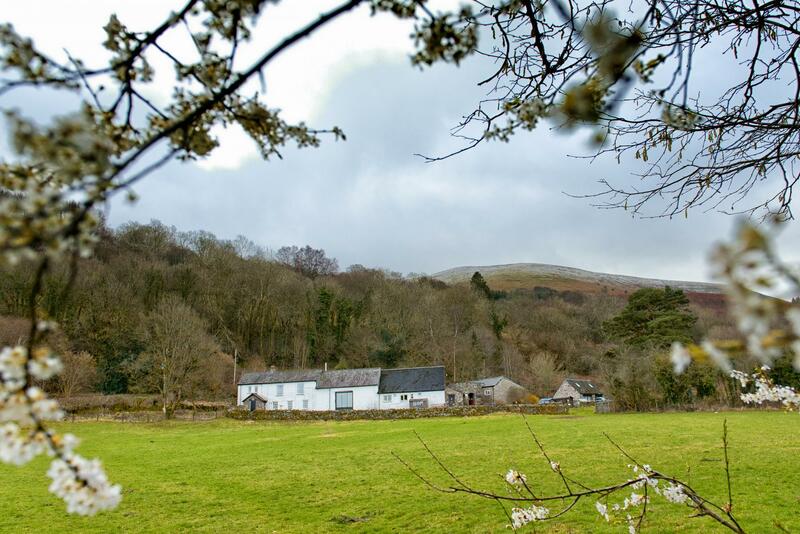 When would you like to stay at YHA Brecon Beacons Danywenallt? 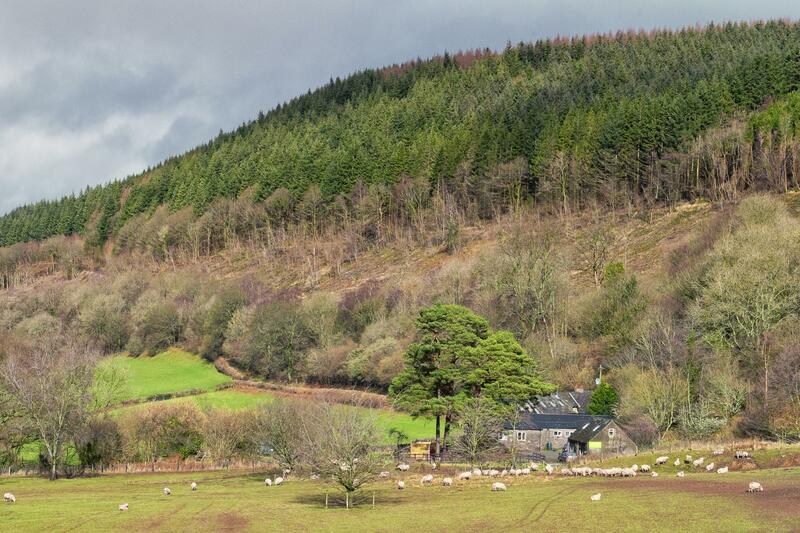 Surrounded by wooded slopes, high peaks, waterfalls and trails, this converted farmhouse makes an ideal rural retreat for a visit to Wales. You'll love the beautiful valley location and well-kept grounds. Secluded? Yes, but with opportunities for outdoor activities on the doorstep, you’ll always have plenty to do. Enjoy the rustic charm of the building as you glance out into the welsh countryside of trees and greenery. With original stonework, characterful beams, an old fireplace, plus a well-equipped self-catering kitchen, the hostel provides a retreat to be appreciated by all. There is space for 36 people in private rooms, dorm rooms and camping pitches. This beautiful converted farmhouse has extensive grounds, and cosy social areas. Most of the rooms have private facilities, and there’s a comfortable lounge to relax in after a busy day. The rooms are split over two blocks and include a dining area. Get all the fun of camping but without any of the set up stresses with these beautiful bell tents - part of the YHA Glamping experience. These spacious tipi-like tents are fully kitted out with a double futon bed and two single futons plus all bedding and can sleep four people. They also have eco-friendly solar lighting, and comfy bean bags for you to chill out on during the day plus bedside tables, a coffee table, woodburner rugs and soft flooring. Premium bell tents also have the addition of a woodburner to keep you cosy. There are two premium bell tents at YHA Brecon Beacons Danywenallt which are available to book for stays between May and September. The YHA Brecon Beacons Danywenallt campsite is situated in our apple orchard, next to the car park about 50 yards from the main Youth Hostel building. 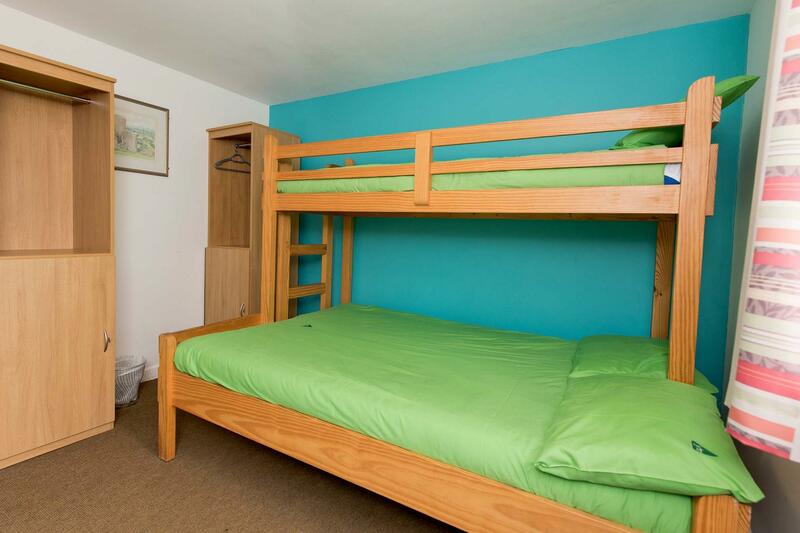 Campers have use of the annexe block toilets and showers which are generally shared with hostel users. Access is 24 hours and they are situated about 50 yards from the orchard. Campers are welcome to book their meals in the YHA Brecon Beacons Danywenallt restaurant. If you prefer to self cater, camping stoves are welcome and there is a small kitchen area for washing up and storing chilled food. Families, individuals and organised groups are all welcome, although our facilities only allow for up to 25 campers at any one time. This is subject to hostel occupancy. Cars must be parked in the car park, they cannot be driven into the orchard. BBQs can be used but only inside the fire circle. Open every day? : From 1st March to 31st October YHA Brecon Beacons Danywenallt is open during weekends and school holidays for families and individual travellers. From Monday - Thursday the hostel is open for group bookings. From 1st November until 28th February YHA Brecon Beacons Danywenallt is open for group bookings and YHA Exclusive Hire. Beds and rooms may become available three months prior to the travelling date so please check the website for more information. Parking: There is free parking available on-site and we have an electric car charge point. Pets: Dogs can stay on our campsite. You can bring your dog for free if you are camping in your own tent. Pets are not permitted in the hostel accommodation at YHA Brecon Beacons Danywenallt however, assistance dogs are welcome throughout, please advise upon booking. Want to rent the whole property to yourself? YHA Brecon Beacons Danywenallt is available as an Exclusive Hire property from the autumn half term to the Easter holidays. Please visit our YHA Exclusive Hire website for more information. YHA Brecon Beacons Danywenallt is a great location for an adventure break but also provides the opportunity for geography, history and science trips. Facilities include a library, a laundry room, a café and group catering. Visit the YHA School Trips website to book make an enquiry. Manager recommends: We’re located half way up a quiet valley with some really fantastic routes for walking and cycling holidays right outside the front door! There is something for everyone. Those on a family break can enjoy short waterfall walks or easy cycling on the Taff Trail. For a more energetic activity break, try the more challenging routes across the Beacons.